Things are getting real on the Detroit hotel project. The frames are built, and now we're in sewing mode. We've enlisted our favorite seamstresses to sew like crazy for the next few weeks. See those three machines? They're going full tilt these days. For the Detroit hotel project, we created a scale model for the client. We had the shapes created by a local 3D-printing fabricator (which kinda makes us want a 3D printer...). Then Matt spent a good chunk of time hanging, balancing, and refining the model. 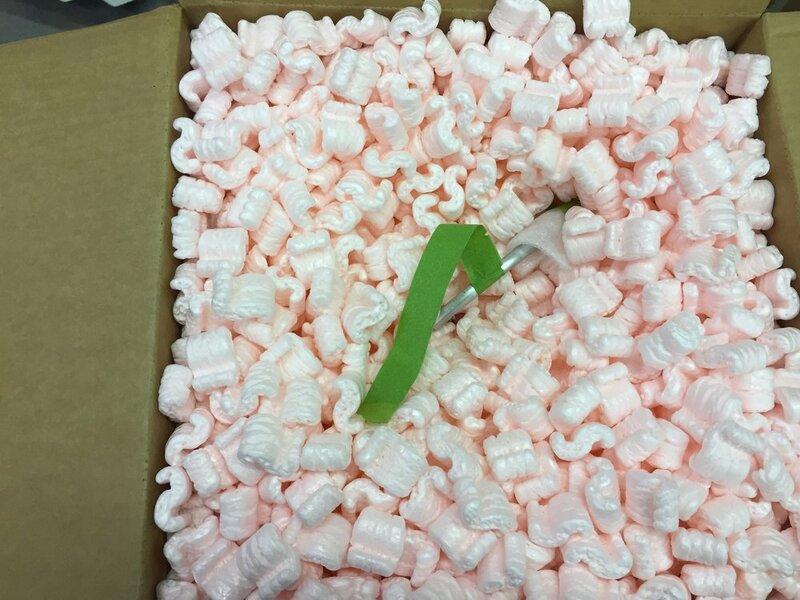 Then he spent another chunk of time figuring out how to safely ship it! The good news is that it made it safely to the client. Phew! 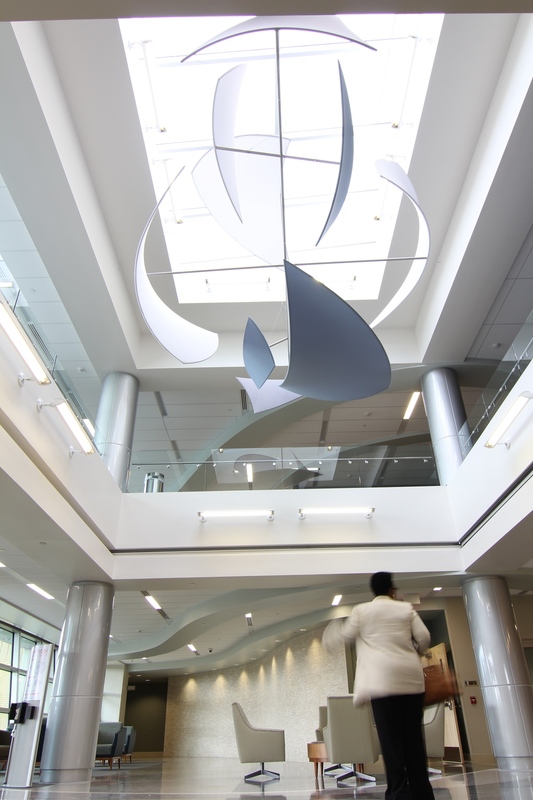 We've mentioned a few times that we've been working on a cloud-inspired ceiling sculpture for the atrium of North Carolina hospital. We're happy to report that it's all installed. Matt and Ben travelled to the East Coast last week for the installation, and they worked through the night, completing the installation at about 4:30 a.m.
Matt woke up later that morning to this happy text from the client: "The mobile is amazing. I knew it was going to be special but it is beyond that. I am truly speechless. Thank you is not enough!" Shucks. That kind of feedback makes mobile making totally worth the sleepless nights.